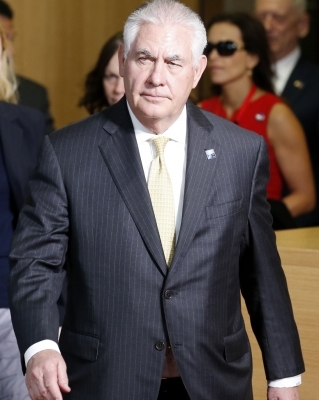 New Delhi, Oct 24 (IANS) US Secretary of State Rex Tillerson arrived in Delhi on Tuesday night on his maiden official visit to India. During his three-day visit, he will call on Prime Minister Narendra Modi and meet External Affairs Minister Sushma Swaraj on Wednesday. Tillerson is on a five-nation visit from October 20-27, including Saudi Arabia, Qatar, Pakistan and Switzerland, according to the US State Department.